The audio file for this interview can be found on Living on Earth’s website. CURWOOD: It’s Living on Earth. I’m Steve Curwood. The Charles River meanders for 80 miles through eastern Massachusetts on its way down past Harvard, BU, MIT to the Boston Harbor. King Charles I of England named it after himself when it was first explored by the British back in the 17th century, yet by the 19th century the Charles had become a dumping ground for sewage and industrial waste. 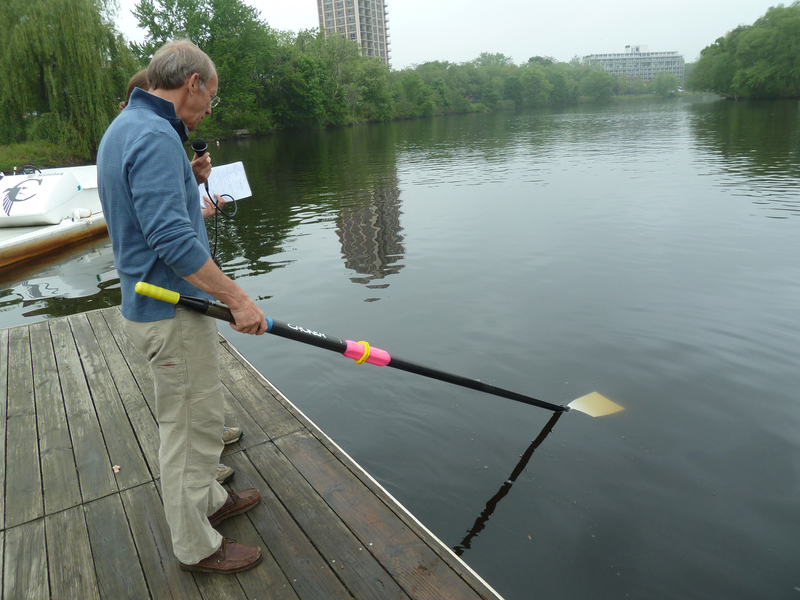 But now as summer begins, Living on Earth’s Bobby Bascomb reports the Charles is not only cleaner, for some folks it also means a lot of fun. BASCOMB: It’s a hot sunny June morning on the Boston Esplanade. 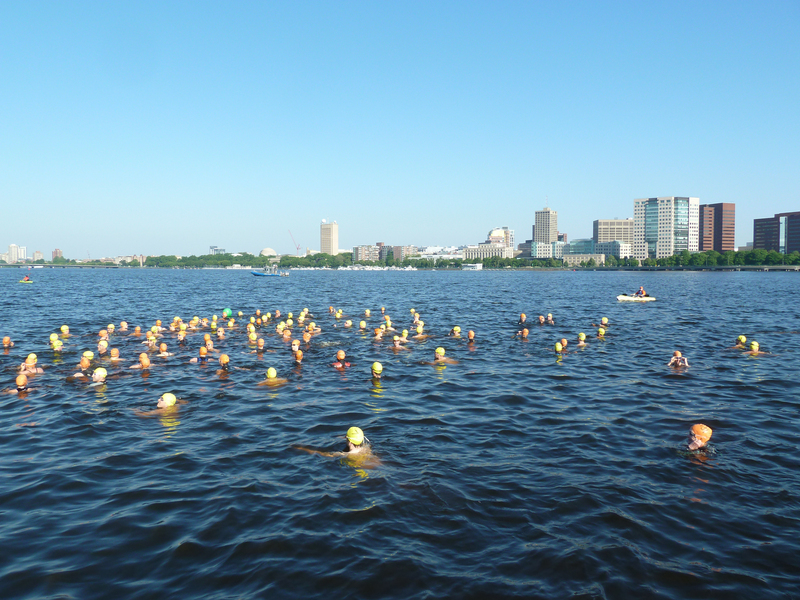 150 swimmers in numbered yellow and orange caps tread water in the Charles River just in front of the Hatch Shell where the Boston Pops accompany the Fourth of July fireworks every year. HESTER: I’m going to count down from 10 and then blow the whistle. That’s the start. BASCOMB: Swimmers had to sign up early to qualify and be able to swim a mile in less than 40 minutes. 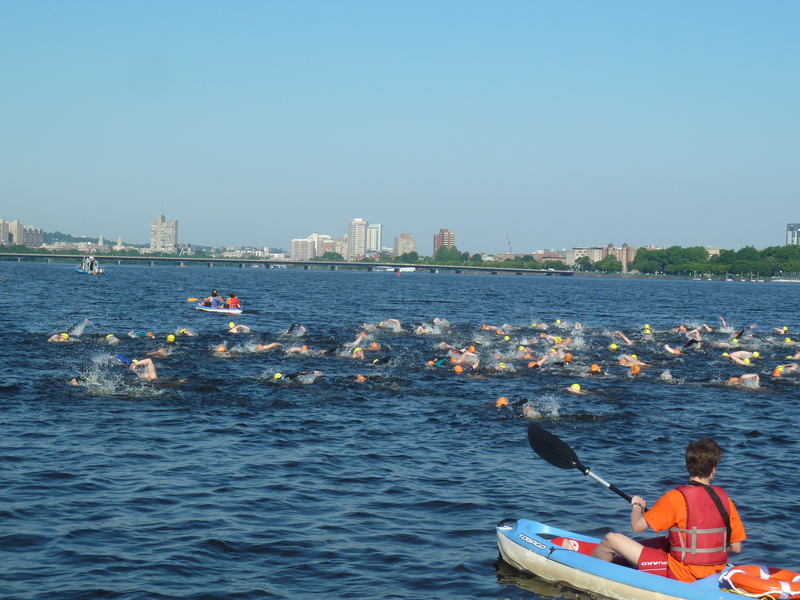 The Charles River Swimming Club organizes the race. They’ve held it for the last 8 years but it had to be cancelled three times because of unsafe algae levels after heavy rain. BASCOMB: Franz Lawatez is president of the swimming club. He says opinions of the river tend to vary depending on age. LAWATEZ: I think the younger generations are a little bit more open minded. They’ve seen people wind surfing on it. They’ve seen this swimming race for the last eight years or so. So I think there’s a bit more receptivity to the idea of getting in the water. BASCOMB: There are still problems with urban runoff and many Bostonians remember what it used to be like. LAWATEZ: The people that have known the river at its worst, which tends to be the older generations, they usually have a more reliably negative reaction because they’ve seen the river back in the day when it inspired that famous song, Love That Dirty Water. BASCOMB: In 1966, when the Standells were singing about Boston’s dirty water, Charlie Hamlin graduated from Harvard. He was a member of the university rowing team. HAMLIN: Everyone understood the river was dirty and if you had an open cut or something like that you really tried to avoid getting your hands in the water. BASCOMB: Today Hamlin is treasurer of the Cambridge Boat Club. We talked there on a cool morning just as boats full of rowers were heading out on the river to train. HAMLIN: Of course, the joke back in our day was that if you accidentally fell in you had to go immediately to Stillman infirmary to get a tetanus shot but that’s no longer the case. BASCOMB: Charlie leads the way down a gravel path to the dock. HAMLIN: I’ve got one of my sculling oars with a white blade on it and if I push it straight down it disappears about five feet into the water whereas back in the day if I only put it a foot under the water you wouldn’t be able to see it. It’s an indication of how much the water’s been cleaned up. BASCOMB: The pollution on the Charles and many other urban rivers in the US started shortly after the first European settlers arrived, when they built mills on the river. Bill Walsh Ragalski is a lawyer for the Environmental Protection Agency. He says the mills weren’t the worst problem. WALSH RAGALSKI: The real pollution began around 1840 when the public water supply was built in Boston because there was then indoor plumbing and most of the plumbing drained into the Charles. So there were high levels of sewage going into the Charles. It became worse in 1908 when the dam was built, what’s called the Old Dam, which turned the river, an estuary, into a lake so all of that sewage just stayed there as opposed to getting flushed in and out every day. BASCOMB: Add blood and offal from five slaughter houses upstream to the raw sewage and you had a pretty foul mix. Later came a paint factory and weapons arsenal, and along with them pollutants like PCBs, copper and lead. Again, Bill Ragalski. RAGALSKI: If you take a look at the distribution of contaminants in the sediments there are high lead levels under the bridges because until recently they just scraped the bridges to repaint them and of course there was lead in the paint. BASCOMB: The US Geological Survey recently took core samples of sediments in the Charles. They found a spike in lead levels that correspond with the arrival of the automobile and a steady increase until unleaded gasoline was introduced. RAGALSKI: The sediments in the Charles River is a history of the automobile in Boston in some respects. BASCOMB: More than a century of pollution added up to a river so dirty that the idea of swimming in it was the subject of ridicule. In 1988, Boston comedian Mike McDonald offered sunbathers on the river bank $10 to go for a swim. MCDONALD: Would you consider swimming? MCDONALD: Not even for money? MCDONALD: Why wouldn’t you swim in this river? MAN: It’s disgusting, it’s polluted. It’s like swimming in a toilet. It’s worse. 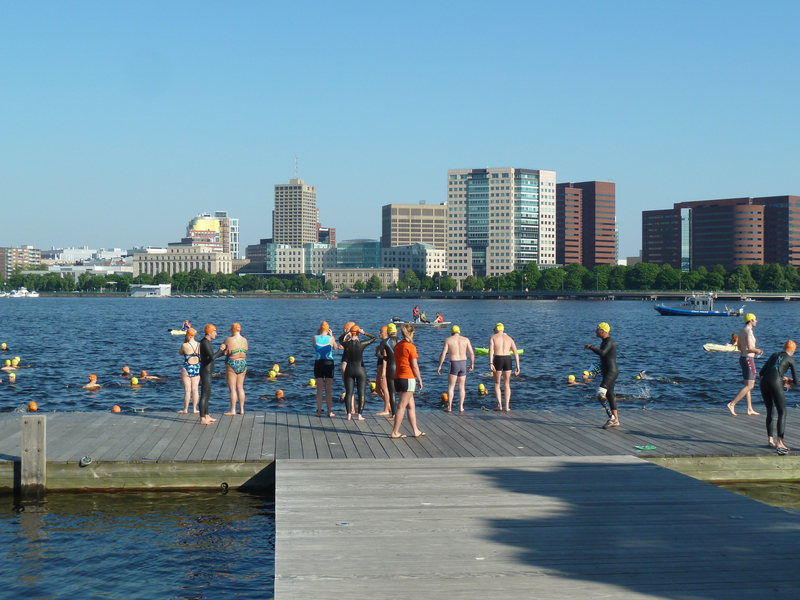 MCDONALD: Would you swim in the Charles for 10 bucks? WOMAN: Uh…I think perhaps not. MCDONALD: What isn’t attractive to you about that? WOMAN: I’m not interested in motor oil floating, oil slicks and things like that, you know. MCDONALD: Do you believe the river is polluted? MAN: I know it’s polluted. BASCOMB: The Clean Water Act in 1972 marked the beginning of a turnaround for the Charles and urban rivers across the country. It was a long road to recovery but for the first time, industrial and municipal discharge into rivers was regulated. 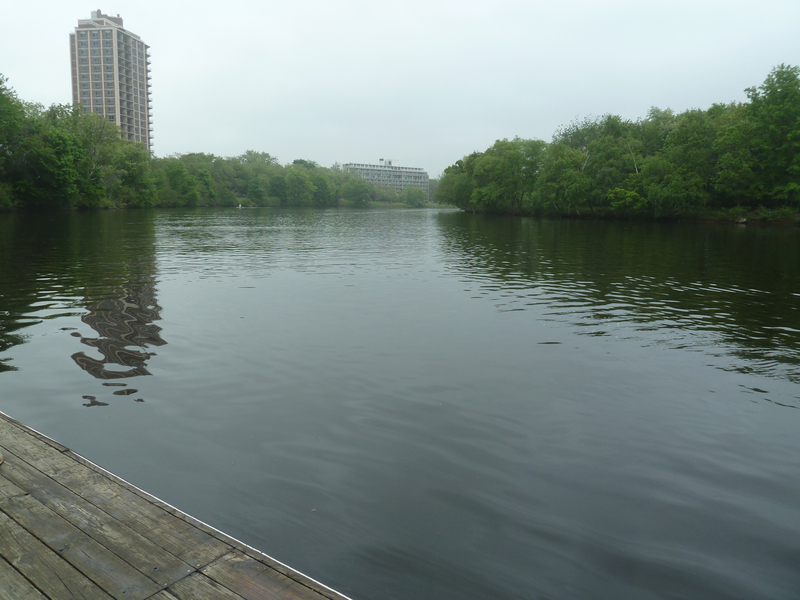 Today, after decades of clean up efforts, the Charles is a model for river rehabilitation. In 2011, the Charles beat out 146 applicants from 21 countries to win the prestigious International Rivers Prize. ZIMMERMAN: It’s sort of the academy award for river groups world wide. It brought with it a $330,000 first place prize. BASCOMB: Bob Zimmerman is the Executive Director of the Charles River Watershed Association. 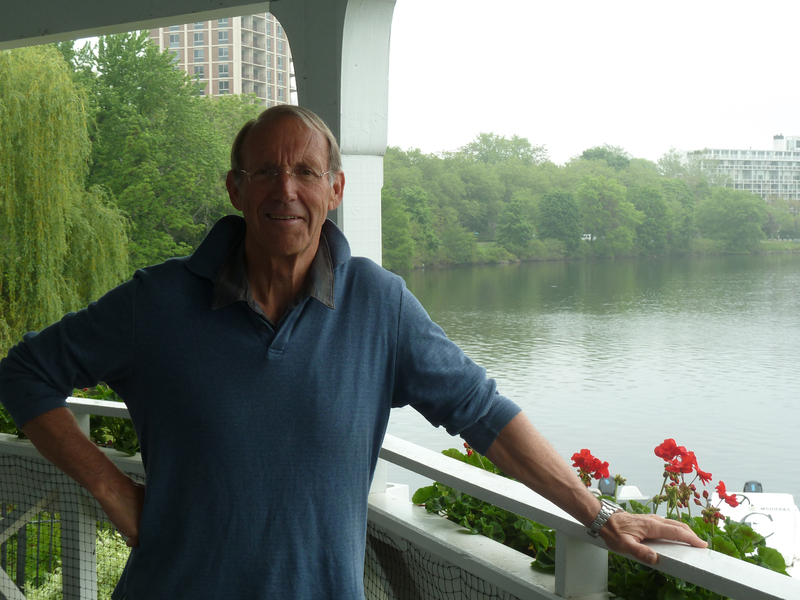 His organization has been working to clean up the Charles since 1965 and received the award. Zimmerman says the Charles is now clean enough for fish to thrive. ZIMMERMAN: The department of marine fisheries and department of fish and game have been restocking the river; we have one of the better herring runs on the east coast. BASCOMB: In 2012, a fisherman spotted a sturgeon in the Charles. It’s an ancient fish that predates the dinosaurs but hasn’t been seen here in living memory. Generally, urban rivers across the country are cleaner now than they have been for generations. And, says Amy Kober of American Rivers, public enthusiasm for outdoor recreation is on the rise, creating an unprecedented interest in swimming in urban rivers. KOBER: We are seeing more and more swimming in rivers that used to be polluted. Places like Washington, DC, the Potomac River is home of the nation’s triathlon. The Willimette River in Portland, Oregon. There are a number of swims on the Hudson in New York, there’s a triathlon on the Ohio River, there’s a swim on the Beaufort River in South Carolina, the Columbia River in the Pacific Northwest. So, really all around the country people are using the rivers in that kind of way. BASCOMB: Back at the Charles the first swimmers are returning to the dock. OLDER MAN: How’s the water taste? YOUNGER MAN: Not that bad, I’m trying not to swallow it! HILL: I probably swallowed between half a cup and a cup so I hope it’s safe. They had some environmentalists say it was safe for swimming. They didn’t say it was safe for drinking. But I have a decent immune system. I’m confident I will survive. BASCOMB: What made you decide to want to do this race at all? BASCOMB: John Wilkinson won the race in just over 22 minutes. WILKINSON: I love the location, it’s so cool being right in the middle of a city doing a swim race. And the water really is clean. I know years ago it had a bad reputation. It’s amazing how far rivers like the Charles and the Hudson have come. There are tons of races in those water bodies now and it’s a testament to all the work that’s been done to clean up our rivers. BASCOMB: EPA testing shows the Charles is actually safe for swimming roughly 60 percent of the year. But it’s virtually always closed – there’s no funding for lifeguards or public beaches. 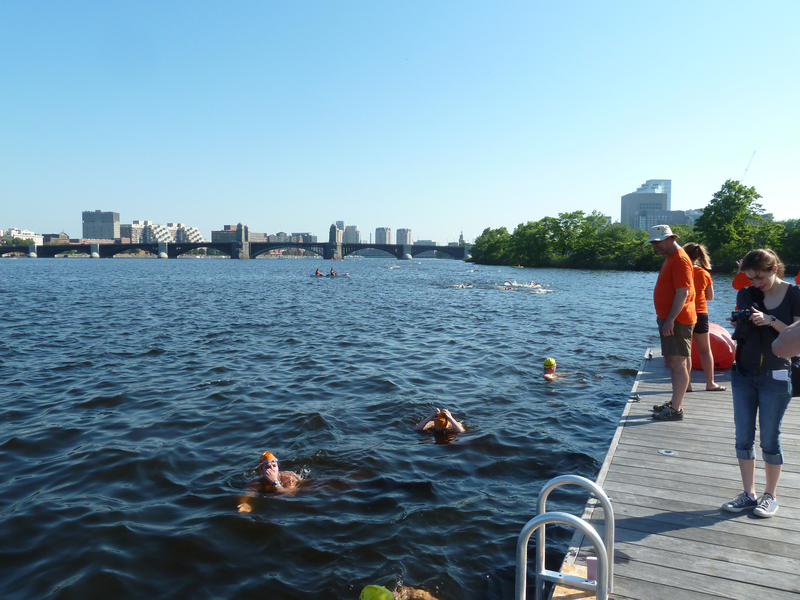 Still, in July the Charles River Conservancy will host its first ever public swim and all the groups working to clean up the river hope that in the future there will be more swims and maybe even clean safe public beaches. For Living on Earth, I’m Bobby Bascomb beside Boston’s Charles River.